Paris, eat your heart out (while I eat this pastry). Like many college students, I’ve always dreamed of studying abroad in Paris and basically being the 20-year-old male equivalent of Julia Child (I may have also watched Julie and Julia one too many times, so maybe this will become my own popular blog like the one that Julie made?). Here I am in my third year and, alas, the Eiffel Tower is but a distant memory. Thankfully, some inspiration for my Parisian reveries is not hard to find. Last weekend I decided I would try to be cute and surprise my boyfriend with dessert, so I took a quick trip over to Historic Federal Hill to hit up my favorite French coffee shop / dessert café / date spot. 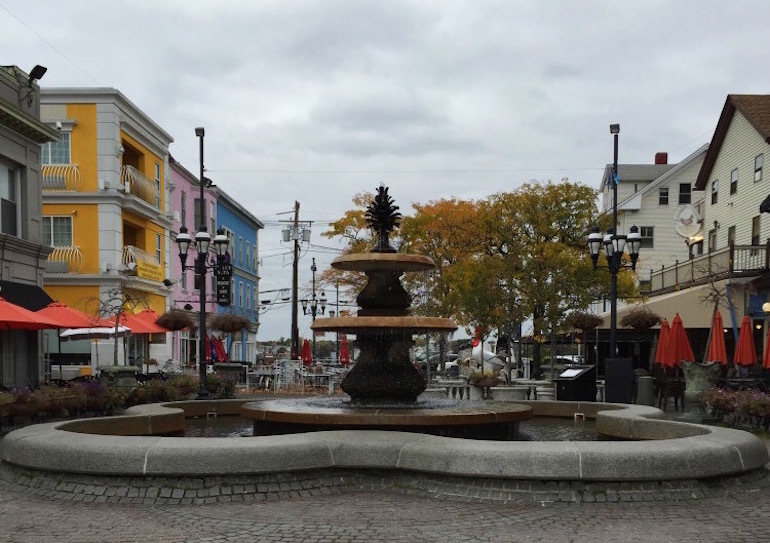 Lurking behind DePasquale Square’s majestic fountain sits Pastiche, a hidden gem in a literal back street. The adorable blue paint job is only part of its charm, though. Walking in, it’s pretty easy to convince yourself that you’re actually in a quaint little Parisian café (and that you don’t have exams and actual adult things to worry about). 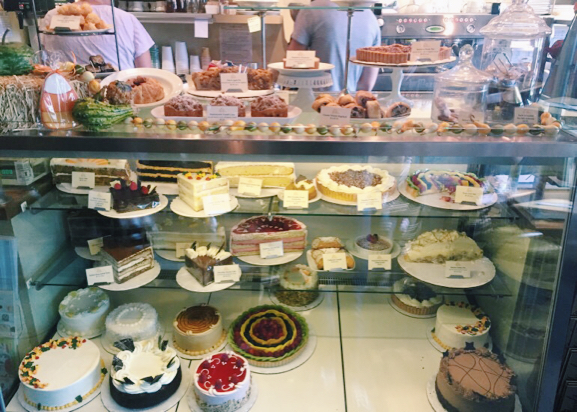 The only thing missing is someone in a beret reading Flaubert – but to make up for it, check out their daily display of heavenly pastries. Yes, those are entire fruit tarts and chocolate cakes and, yes, I did seriously consider buying the whole case. They make amazing pastries fresh every day, from tarts to cakes and pies, to their amazing Bourbon Butterscotch Crême Brulée (as our friends on Unique Sweets would say, it’s brilliant and boozy). 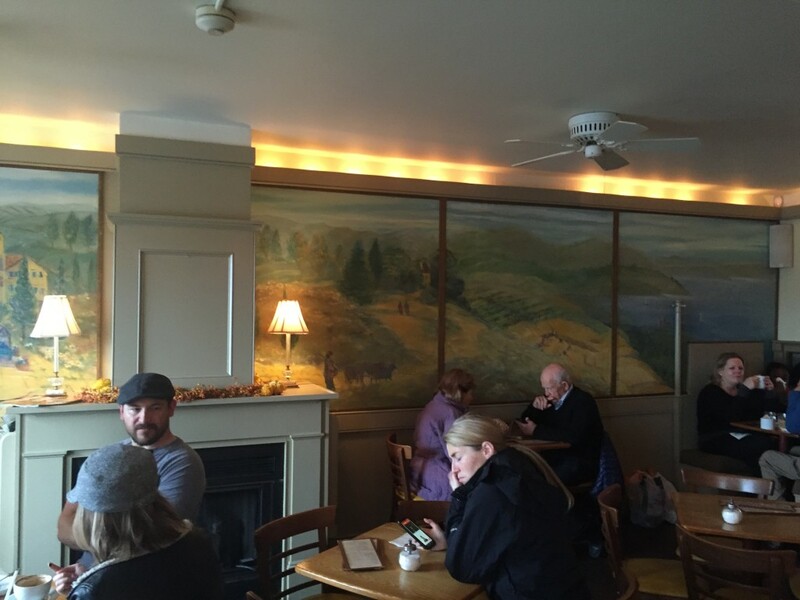 If the pastries aren’t enough to sway you, then maybe the adorable seating area will be. 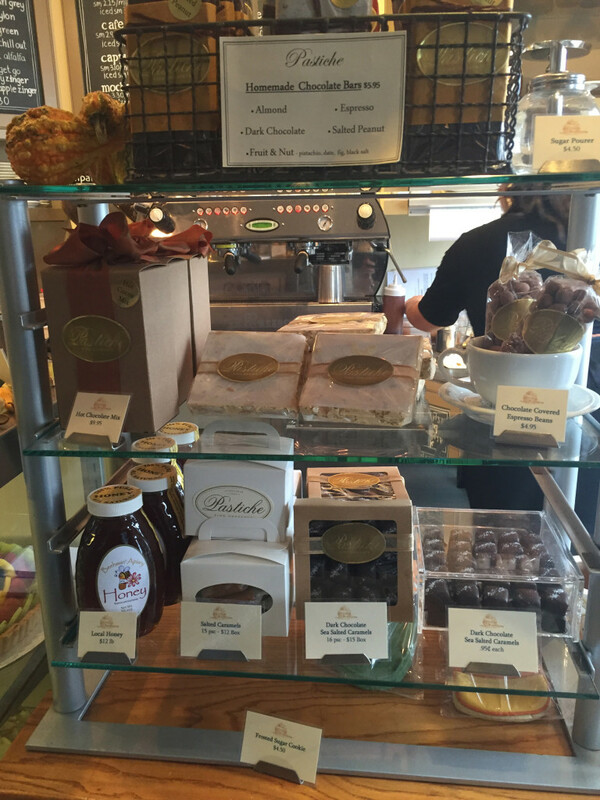 Pastiche also offers fantastic coffee and espresso in the French style (try it with a twist of lemon). So, sit down and enjoy a cute date or just #treatyoself. And while you’re at it, pick up some of their homemade hot cocoa mix – you’ll thank me later. 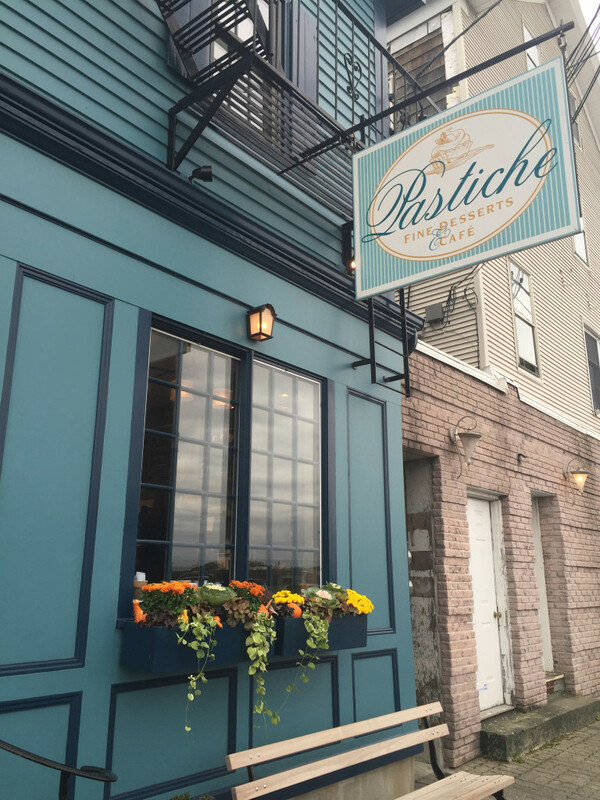 So next time you want to get the Paris experience without a plane ticket, or if you need a cute date idea, check out Pastiche – you’ll probably see me there, drooling over the display. Au revoir, mes amis!